There are no comments for Tess. Click here to post the first comment. 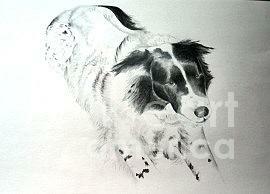 Graphite Pencil and Charcoal Pet Portrait drawing created from photograph supplied by client.